If you're after a car that has all the advanced features to make your life on the road more fun, more energetic, and, frankly, more interesting - you've come to the right place with the Gold Key Auto Group. We want you to have an experience that puts you into the driver's seat of a vehicle that has all the qualities a modern driver deserves. Have you considered the Audi S4 for sale at our store? If not, check out it out and know that you're going to have a more refined and entertaining experience when you have this aerodynamic and cleverly sculpted vehicle at your beck and call. 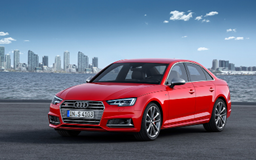 It's set the new standard for the sport sedan class, that's for certain. Note that you have the legendary quattro all-wheel drive and the turbocharged V6 engine for an impressive drive - wherever you're heading. Offered in Sporty, Advanced, and Stealth options, the Audi S4 for sale is truly a highlight. Uncompromising in its effectiveness, the team at the Gold Key Auto Group will offer you the advantages and the competitive prices that make buying a vehicle from us easy. Come down to our dedicated Audi store located at 5955 Collection Drive and let's get to work for you. There's plenty of reasons to choose the Gold Key Auto Group - just let our team of professionals assist you by narrowing down the S4 options until we find the one that stands out for you. For instance, check out the S4 Sporty model with rear sport differentials, impressive dynamic steering and S adaptive damping suspension for a more refined driving experience. With the Advanced model you'll gain the Advanced Driver Assistance Package, heads-up display, and the same S adaptive suspension that will make driving better than ever. Finally, with the Stealth option you'll receive accent updates that include Black Nappa leather with diamond stitching and S embossing, Carbon Atlas inlays, and Mythos Black metallic paint that ensures you stand out. Trim lines include the Progressiv with an enhanced interior, Audi music features, and the advanced technology elements that really make life better. Then you have the Technik. This trim has innovation and aesthetics in check. Meant for those who want to unlock the full potential of their Audi vehicle, you're going to have more reasons to get ahead of the curve when you choose the Audi brand. Make the Gold Key Auto Group your store for Audi. You won't be disappointed. 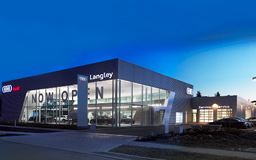 If you're interested in stopping by our Audi dealership, located at 5955 Collection Drive, simply find yourself to us south on Highway 1 and a little west of the Langley Bypass and Glover Road. You'll find the dedicated team of professionals ready to offer insight and opportunities as you look into the various used models available on site. Check out online inventory for more information or reach out to us for any questions! Not many people who have had an opportunity to sit in the S4 have had anything but great experiences - whether you're the driver or the passenger, this is a sport sedan that has all the right angles going for it. Two engine options are sure to impress - with the 3.0-Litre TFSI that offers a max speed of 250 km/h and an acceleration of 0-100 km taking just 4.7 seconds. Add to this the fact that the max horsepower of 354. Pretty fantastic, right? Drive one today at the Gold Key Auto Group. We've built a reputation on the idea that you deserve better and we've set our sights on always keeping ahead of what the industry believes is enough. After all, when you receive the care that you'll able to reflect on with a smile on your face and the appreciation that you came to us for something and left with something even better than you imagined. That's the Gold Key Auto Group policy and it's what we want you to expect when you work with us. 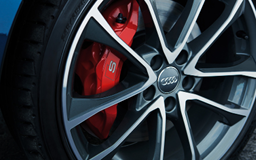 Choose rims for your Audi the likes of the 18" 5-double spoke star design wheels or step into the 19" models with an impressive look that demands attention whether you're on the road or not. LED headlights come standard as does the glass sunroof, and heat-insulated windshield glass for a more comfortable driving experience. Inside you'll note the standard S Sport Seats and optional heated 3-spoke leather-covered multifunction steering wheel. There's a lot to love about the S4. Let's find yours today! Thanks to a staff of passionate and friendly professionals Gold Key's reputation continues to grow. 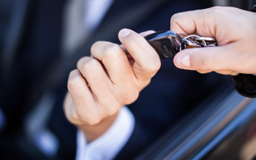 Know that you're getting the service you deserve when you choose Gold Key Auto Group. When it comes to searching for a vehicle in Metro Vancouver, we're confident we can provide you with the answer and guidance to narrow down your choices until we discover, together, which one is best for you. That's the Gold Key Auto Group way. Join us today and let us add you to our list of lifelong customers who appreciate being treated with the respect they deserve. We look forward to assisting you when you stop by one of our amazing locations!